and half of marriages end in divorce. It is essential that we do all we can to promote healthy, happy, permanent relationships. Overall, marriage reduces the likelihood of illness, both mental and physical, and speeds recovery from trauma. Parents in a healthy marriage are a protective factor against childhood risky behavior and model kindness and respect for children's relationships. The home is the center for teaching children values. are in a prime position to encourage couples to discuss important topics prior to their entry into marriage and increase their chances of staying together. Encouraging couples to discuss a broad range of important topics can help them understand the meaning of their union, discover their individual styles, and learn communication and conflict resolution skills that will enhance their lifelong relationship. encourages couples to talk to each other. Unlike a therapist, a facilitator is not expected to fix problems nor offer advice; he or she is a resource to support the relationship and promote healthy communication. Pre-marriage sessions offer a unique opportunity to celebrate a couple's strengths, practice positive communication skills, and explore important areas that may present problems later. Why Use the FOCCUS© Pre-Marriage Inventory? is a comprehensive, user-friendly, affordable tool for professionals and lay individuals who are helping couples prepare for marriage. The 151-item, research-based inventory assesses couples' agreement, disagreement, or indecision about statements related to important issues, such as communication, problem-solving, religion, family and friends, careers, cohabitation, parenting, sexuality, finances, and more. is a packet of seven separate research-based questionnaires that married couples can take on their own or through a facilitator. The REFOCCUS© Inventory guides a couple's private discussion at home, as part of a weekend retreat, or in seven weekly evenings of discussion with other couples. 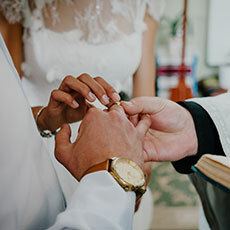 Each of the seven questionnaires - Marriage as a Process, Intimacy, Compatibility, Communication, Commitment, Ministry Marriages, and Empty Nesters - are answered independently by the couple.